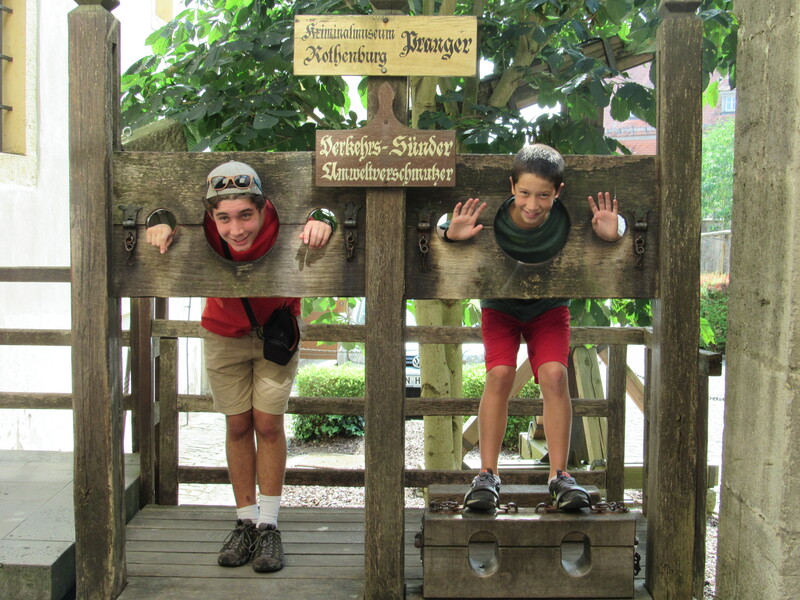 Shwaig to Nuremberg to Rothenberg to Shwaig. With only four days in Germany, two of which are travel days, we knew we needed to pack as much as possible into the other two day. That is exactly what we did on Wednesday, our second day in Germany. We left the town of Shwaig for Nuremberg to visit the Documentation Center Nazi Party Rally Grounds, which is a huge and fascinating museum on the site of the former Nazi rally grounds in Nuremberg. The museum focuses less on the Holocaust and more on the rise of the Nazis in German. The museum serves to make sure something like that never happens again. 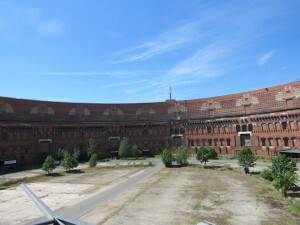 Former Nazi rally stadium in Nuremberg. Though all the exhibts are in German there is a great audio guide that tells you all you need to know about the National Socialist’s rise to power in Germany. After we left this museum I felt like we had finally pieced together the whole puzzle of WWII and the Holocaust. From the rise of the Nazi party to this formation of the State of Israel and everything in between, we have really hit it all on this trip. 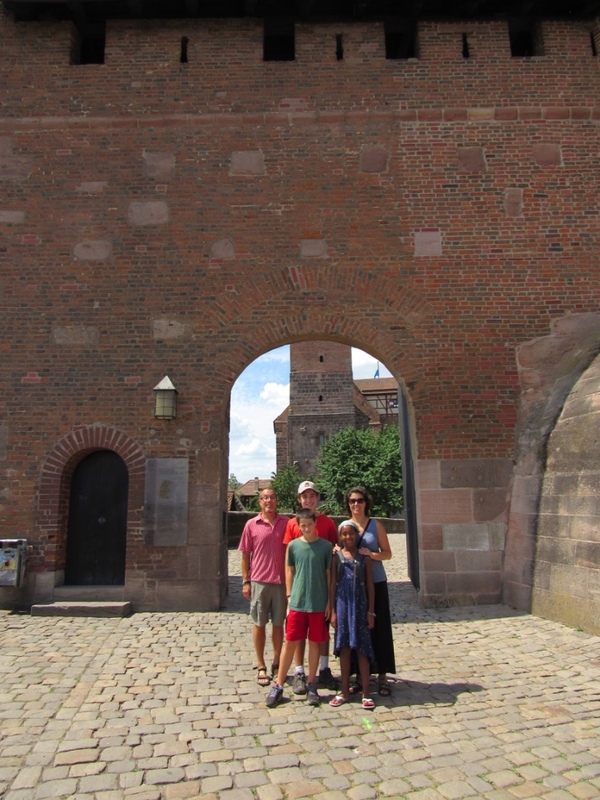 We then left for the Nuremberg castle where we walked around, climbed towers, and learned the history of one of the most important medieval cities in the Holy Roman Empire. 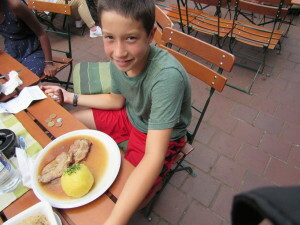 Next we grabbed lunch in the Old Town that consisted of potatoe salad, sour kraut, meat, and dumplings. By this time it was 2:30 and it was past time to set off towards the next stop on our tour. 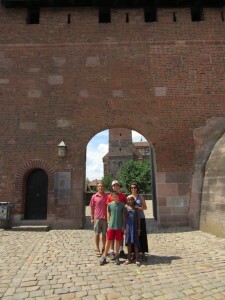 At the gate to the castle. 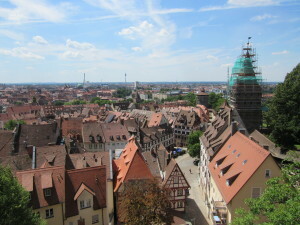 Nuremberg from one of the castle towers. We hopped in the car for an hour-long drive to Rothenburg to Ob Der Tauber. 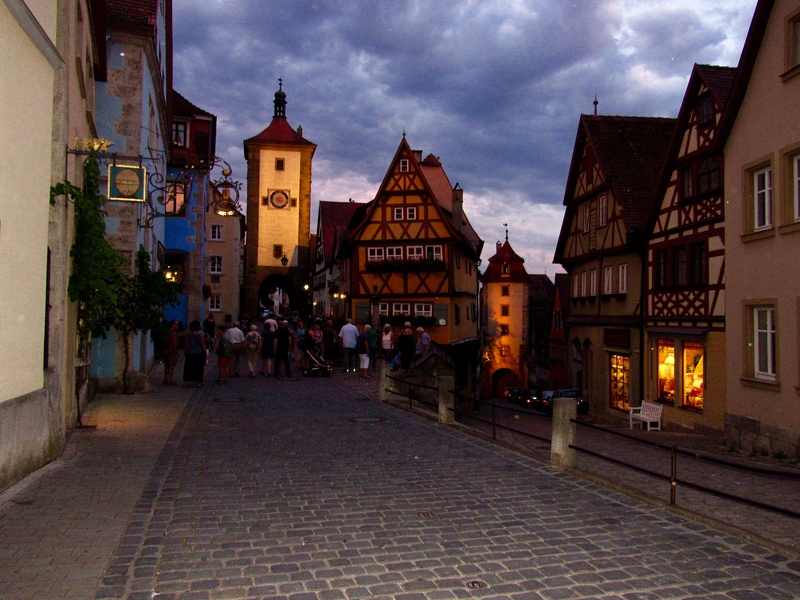 Rothenburg is a medieval city that has been preserved for over 250 years and looks excatly the same as it did hundreds of years ago and is a stunning example of medieval life in Germany. As a result of being struck by the both black plague and the Roman army, it was never modernized and everything from the the outer wall to the streets, buildings and guard towers are original and beautiful. And the amazing thing is it is not completely overrun by tourists like the medieval cities of Spain and Italy. A side street in Rothenburg. 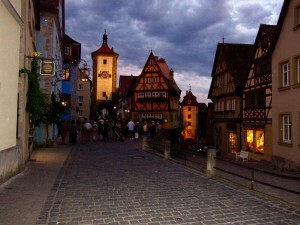 Rothenburg at night as we were leaving. One of the highlights of the city is the medieval crime and punishment museum. Unlike the cheesy torture museums in almost every other medieval city in Europe, this museum is more about the medieval legal process and less about gruesome torture methods. It is the only legal history museum in Europe. Outside the medieval crime and punishment museum. Next on our agenda was the Night Watchman Tour of the city. 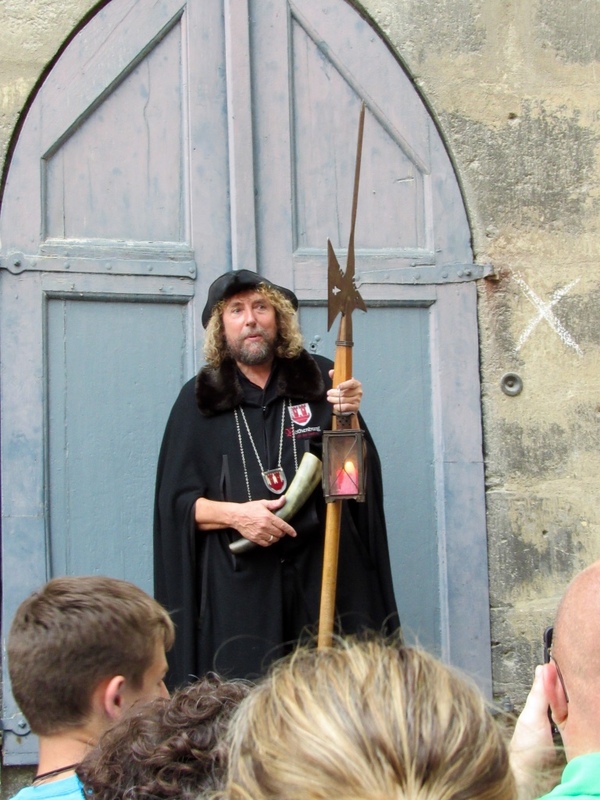 Starting at 8:00 pm the tour is a fascinating walk given by the “Night Watchman” of Rothenburg who takes you around the city telling stories about medieval Rothenburg. It is so famous and popular there were well over a hundred other tourists on the tour with us. 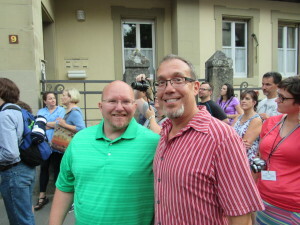 We also got a special surprise when my dad ran into a colleague from Michigan on the tour. My dad with Colin Ripmaster! 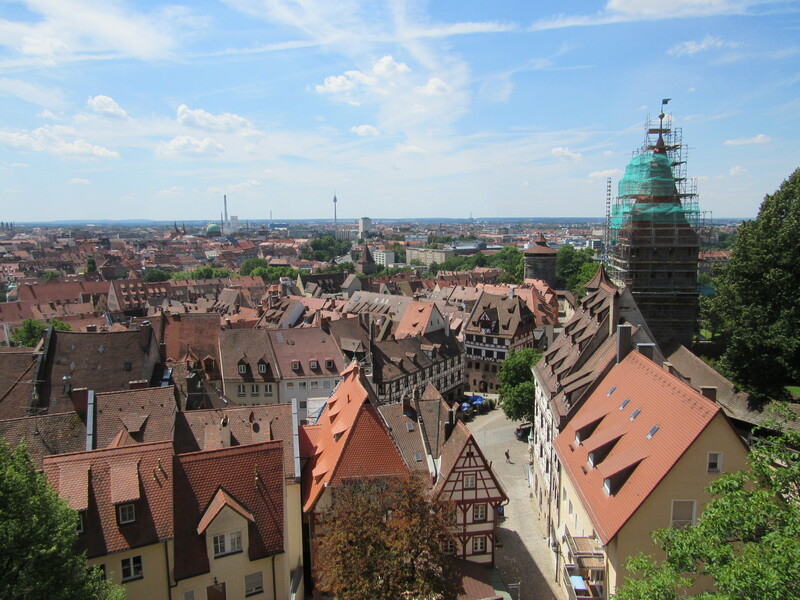 One of my favorite stories from the tour was of how Rothenburg was saved from destruction during WWII. 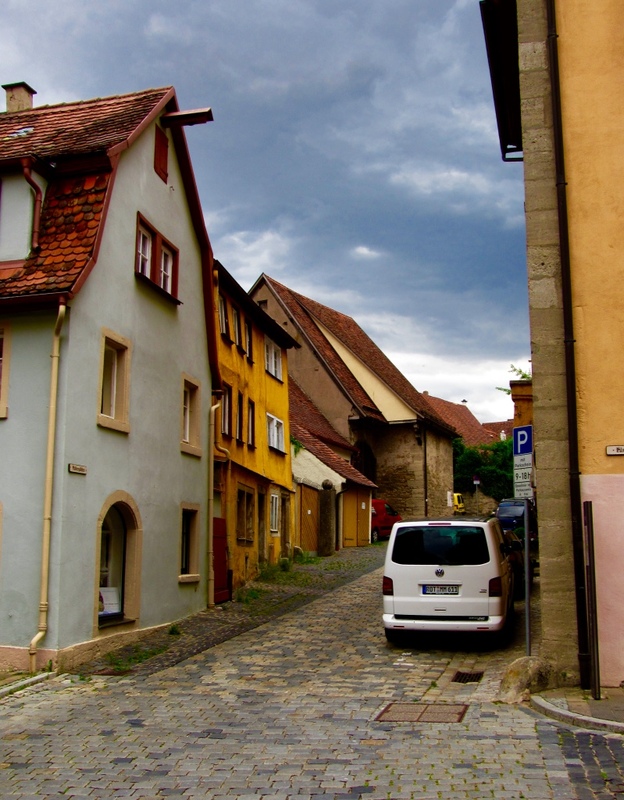 The Under Secretary of State during the war had grown up hearing stories of Rothenburg from his mom who visited it once and fell in love. He even had a picture of the town in his living room though he had never been there. When he heard the town was going to be demolished at the end of the war, he told the town that if they surreneded he would spare them because he loved their city. Ignoring the laws of the Nazis to never surrender, the town imediatley surrendederd to the U.S. and was saved. 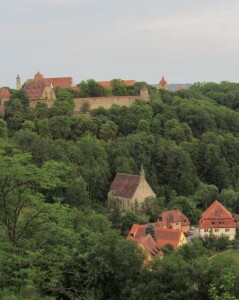 I am so, glad to learn that the beautiful and historical Rothenburg was saved by the Nazi’s!! Thanks again for blogging your experiences with us! Thanks for this post. The details are great. So much more than I learned in school.